HomeDIYA Beginner’s Guide to Basement Renovation! Why Perform a Basement Renovation? written by Chris Vale, REALSEAL, LLC. The two main benefits of finishing a basement are to add usable space and to add value to your home. You can choose to include an additional bedroom or add an extra bedroom for guests or family members; turn the basement into a playroom or entertaining space; make room for a fitness area or home office; transform the space into an in-law suite or rental income property; install a laundry room or additional storage; or opt for an alternative to a home addition. With all of these possibilities, it’s no surprise that a finished basement holds a lot of value for both current owners and potential buyers. According to Remodeling Magazine’s 2017 “Cost vs. Value” report, the average basement remodel offers a 70% ROI. That means you can benefit from a lot of added value without spending top-dollar on materials or dealing with a major life disruption, which isn’t always the case with other remodeling projects. What Elements Should You Include In a Basement Renovation? Now that you’ve decided to go ahead and remodel your basement, you might be wondering where to start. First, you’ll need to decide how you want to use the space itself. Will it be a multi-functional space that includes a kitchen, a full bathroom, and a private bedroom space? Or do you want an open concept entertainment area for the whole family? If you need a quiet office space for full-time work, your needs will be different from families who want to turn their finished basement into a kid-friendly play area. Lighting: We’re not talking just floor or table lamps here. Built-in lighting is a must in an underground space. Even if you incorporate natural light (more on that shortly), you should consider adding light fixtures. Track lighting can be effective, but recessed lighting is considered to be ideal for basements with lower ceilings. To avoid creating corner shadows (and thus, the illusion of an even lower ceiling), place recessed lights approximately three feet away from the walls. Windows: A windowless basement can feel dark and drab, even with light fixtures. An egress window is a must for most finished basements. Not only will it allow more light to come in, but it’s also required by most city building codes as an emergency exit route. Hopper windows, awning windows, picture windows, and sliding windows are all commonly used in basement renovations. If you can, choose double-pane windows, as they’ll add greater energy efficiency to your home. 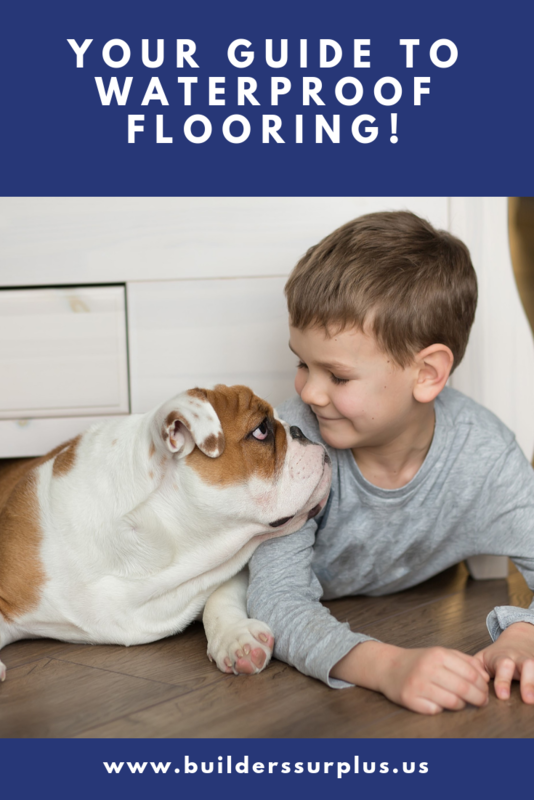 Flooring: Your unfinished basement most likely has a concrete floor. Though you can easily paint concrete, this option feels rather cold and doesn’t provide the highest level of safety. Carpeting can be an affordable and comfortable option. It can also be replaced for a relatively low price, should you experience any flooding. In general, stay away from installing hardwood floors in the basement. Even though it’s a renovation that offers a great ROI, the cost of hardwood floors simply isn’t worth it in this type of space. Insulation: Installing proper insulation will allow you to control the temperature, minimize water damage, and reduce your energy consumption. In fact, good insulation can decrease the cost of heating and cooling your home by over 40%. You can add insulation to interior and/or exterior outside walls, as well as the ceiling. Spray foam is generally considered to be the most effective, but it’s also the most expensive. If you plan on spending a lot of time in this space, consider spending a bit more on this part of your remodel. Plumbing: If you plan to include a bathroom, working kitchen, or laundry room in your renovation, you’re going to have to add plumbing. Adding plumbing below-ground can be a bit more complex, depending on how your home’s sewage pipes run. You may require an up-flushing system or a sewage-ejector system if your existing pipe system runs above your basement -- and this may mean extra time and money is required for the job. Even if you consider yourself to be quite handy, you should probably enlist the help of a professional if you want to add plumbing into your finished basement. Waterproofing: Don’t forget that over 98% of homes with basements will experience some type of water damage at some point -- so you literally cannot afford to skip this step. Basement waterproofing costs can range anywhere from $500 to $15,000 depending on the complexity of the system, the size of the space, the potential source of water damage, and the contractor you pick. But this is definitely not optional. HVAC and Utilities: Your home already has HVAC components and water heaters. But if you live in an older home or these units are nearing the end of their lifespan, a basement remodel provides a perfect opportunity to have them checked out and potentially replaced, if necessary. You could also extend the system by adding ductwork . If your current basement setup has these components out in the open, you may have also considered the idea of closing them off in a separate room. While that can add aesthetic appeal to the space, you’ll need to consult with a professional to make sure this can be done safely and allow for easy maintenance when needed. Storage: Whether you’re going to be using your newly remodeled basement as extra living quarters, a place to entertain, or a spot for rest and relaxation, this area of your home can also provide additional storage space your family so badly needs. Instead of stacking up storage bins and cardboard boxes, you can curb the overflow by adding built-in storage shelving or under-stair storage in different places throughout the basement. You can easily incorporate clever storage options into a craft room, a playroom, a mud room, or your home theater. Don’t be afraid to get creative in order to make good use of your available space. Furniture and Decor: This might be the part you’re most excited about -- and it’s no wonder why! Choosing your decor and furniture allows you to put your own personal stamp on the space and truly add function for your family. Unless you’re installing a home theater or wet bar, you’ll probably want to steer away from top-of-the-line furniture and decor. You can still make your basement look amazing without spending a fortune. Focus the bulk of your budget on multi-use furniture, a comfortable sofa, electronics, and personal touches. Since you now have a better idea of what you’ll need to include in your basement renovation, you can start to draft a budget, hire a contractor (if applicable), and begin the process of applying for permits. Don’t be tempted to splurge custom-made pieces; the use of credit cards to fund home renovation projects increased to 23% in 2016 -- there’s no point going into debt over a basement reno! Steer clear of the most expensive materials; you don’t need marble countertops or stainless steel appliances to make a basement look amazing! Should You DIY Your Basement Renovation? At first, it might seem like DIYing your renovation, rather than hiring a contractor, could save you a bundle. In some cases, this could be true -- at least in part. While you should always hire contractors to install plumbing, electricity, waterproofing, and other elements with a safety factor, you might be able to save on labor costs by taking on certain parts of the renovation yourself. The size of your basement and the scope of the project are probably the two most important factors to consider here. DIYing a smaller basement could cost you $5,000, whereas hiring a professional team could cost $15,000. 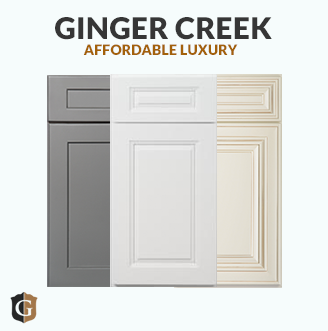 But you’ll also run the risk of improper installation, which can translate to added costs and frustration. Of course, you should conduct thorough research and ask for estimates from several different contractors before making a final decision. You can also find out from previous clients as to whether the projects were completed within the original budget and time period. Be sure to check with your state’s consumer protection agency and/or local building department to make certain that your contractors of choice have the proper insurance, licensing, and bonding to proceed with your project. Obtaining the proper permits is usually a necessary step for basement renovations. Essentially, every added structural, architectural, electrical, or plumbing component will require inspection and permitting approval. That means that if you plan to add lighting, HVAC, running water, a gas heater, drainage, electrical outlets, and framing, you need a permit to do it. Typically, you’ll need to secure building permits first, followed by electrical, mechanical, and plumbing permits. The cost of permits can vary from $100 up to $3,000, depending on the situation. It’s usually best to defer to a licensed contractor to ensure proper permits can be issued and that code compliance is in place. They’ll be able to tell you whether your basement ceiling needs to be at least seven feet high (and what you’ll need to do to obtain this height), whether your egress window provides enough square footage, and whether your design complies with other regulations. Wondering whether you can just skip the permits? Don’t push your luck. If you don’t obtain the proper permits, you may face hefty fines or even be forced to remove work performed, whether it’s already completed or not. And if an adverse event occurs in your basement and you don’t have a permit to show work was done correctly, your insurance company could deny any claim you file. So you’ve decided on what to include in your design, made your budget, hired your contractors, and learned about applying for permits. What do you need to take care of before you can actually start renovating? You need to obtain a foundation inspection to identify structural damage, rust, waterproofing issues, cracks, sagging beams, and any other problems before you ever start the actual remodeling process. Fixing these problems can cost quite a bit of money and time -- but they’re extremely important in order to maintain the integrity of your home. It’s far better to take care of them first instead of taking your chances. Otherwise, your renovation could take much longer and cost a whole lot more. Water damage is a chief concern for homeowners, particularly in basement settings. If you perform a renovation without addressing drainage and potential water damage, you’ll likely regret it later on. Take the time now to grade your lawn, install any necessary drains, consider adding a water vapor or other waterproofing methods, and other steps your waterproofing company feels will allow you to protect your home. According to the American Society of Home Inspectors, approximately 60% of basements are considered wet. That excess moisture can cause rot and even mold if you don’t take care of it prior to remodeling. The source of moisture issues will likely be discovered in your foundation inspection, but there could be other issues at play. You might need to clear out or realign your gutters, install a sump pump, and more. 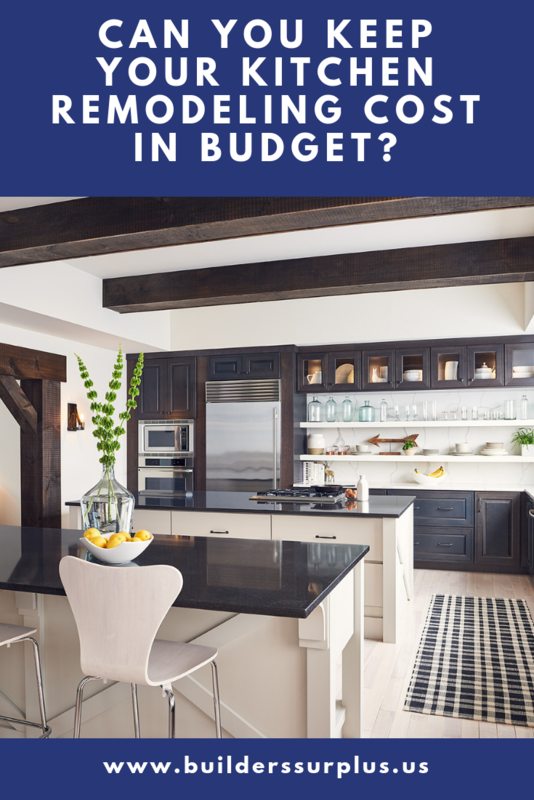 These solutions can cost anywhere from a couple of hundred dollars to a few thousand bucks, so you may actually want to conduct an assessment before you even draft your reno budget. You can’t expect your contractors to be able to work around the existing mess in your basement. You’ll need to conduct a clean out of everything that’s currently being stored there and find a temporary home for it in another space (like a spare room, a storage pod, or an off-site storage facility). This is also really the best way to get inspiration for your space and see how much room you actually have to work with -- so you might want to consider cleaning it all out far in advance. It’s not a bad idea to host a garage sale or bring over some donations to a local charity in the process. You might not have thought about this, but if you’re DIYing any part of your project or want to make sure your contractors keep costs under control, it’s something to include in your plans. Remodeling projects generate quite a bit of waste, and a lot of it will be too big to put out on the curb. If you need to rent a dumpster and take care of pick-up, you’ll want to arrange this ahead of time and factor this in to your overall costs. Now that you have a better idea of all the moving pieces that go into a basement renovation, you’ll be in a great spot to get started. Don’t forget to protect all your hard work by investing in waterproofing protection for this space. That way, your family can enjoy your finished basement in whatever way you choose, without worry. 6 Amazing Stain Colors For Your Kitchen Cabinets!